Home > FAQs > Global > Signing Up for Service > General Questions > What is the difference between Direct Energy and my local utility company? Direct Energy and your utility work together to provide services for your specific area. 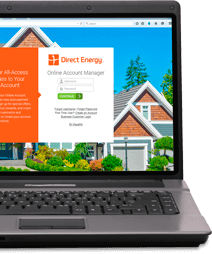 Direct Energy is a retail, or competitive, electric and natural gas provider. If you live in a deregulated area, you are able to shop for your own electricity and/or natural gas plans with suppliers like us to find the right rate and plan for you. Your local utility is responsible for transmitting, connecting and disconnecting electricity to your home and reading and maintaining your home's electric or gas meter. The utility also maintains the lines and other equipment used to transmit electricity or natural gas. In some areas, your utility may compete in the market, selling its own rates and plans to customers. If you choose to sign up for electricity or natural gas with a competitive supplier like Direct Energy, the company that sends you monthly bills will depend on where you live. You may be billed directly by your competitive provider or you may still receive your bill from your utility with your competitive provider listed as a line item. Whether you buy electricity or natural gas with a competitive provider or your utility, your bill will include delivery charges from your utility. These charges cover the operational costs associated with maintaining the equipment that delivers electricity or natural gas to your home.